If you want to leave the confines of the piste, and explore the mountains and valleys beyond, then this is the book for you. Everything you need to make the transition from piste skiing to ski touring is here, from downhill off-piste and uphill skills to avalanche awareness. All aspects are covered in detail, with clear descriptions and stunning photos.The first section of the book covers the knowledge and techniques required to travel beyond the marked trail. 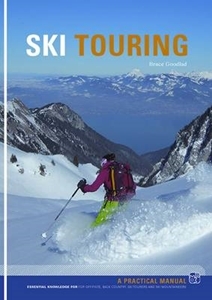 The second part contains a selection of Bruce's favourite tours in the Alps, in guidebook style, to help you plan your own backcountry adventure.Key chapters include: Downhill Skills, Uphill Skills, Glacier Skiing, Avalanches, Winter Weather, and Planning a Ski Tour.